A senior Saudi government official speaking to Reuters news agency laid out details of the death of Saudi journalist Jamal Khashoggi inside the Saudi consulate. The latest account, provided by a Saudi official who requested anonymity, includes details on how the team of 15 Saudi nationals sent to confront Khashoggi on Oct. 2 had threatened him with being drugged and kidnapped and then killed him in a chokehold when he resisted. A member of the team then dressed in Khashoggi’s clothes to make it appear as if he had left the consulate. The Saudi official said the body was rolled up in a rug and given to a “local cooperator” for disposal. Asked about allegations that Khashoggi had been tortured and beheaded, he said preliminary results of the investigation did not suggest that. The Saudi official presented what he said were Saudi internal intelligence documents which appeared to show the initiative to bring back dissidents as well as the specific one involving Khashoggi. He also showed testimony from those involved in what he described as the 15-man team’s cover-up, and the initial results of an internal probe. He did not provide proof to substantiate the findings of the investigation and the other evidence. 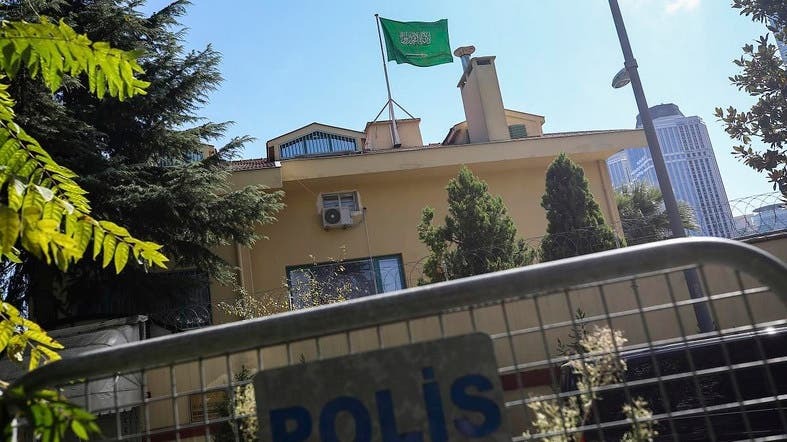 The authorities initially dismissed reports that Khashoggi had gone missing inside the consulate as false and said he had left the building soon after entering.